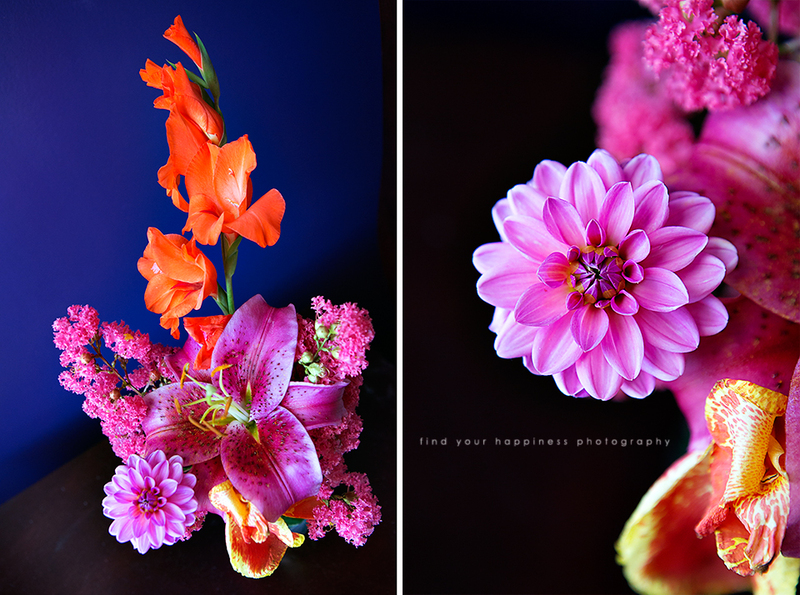 These flowers are from our garden. They were beginning to wilt so we might as well enjoy them inside the house. I wish the lilies didn't bloom so early this year (as early as March!) because of the unseasonable warm weather we had. These stargazer lilies are the last one for the season. Our vegetable garden is unfortunately not doing very well :( We have been fighting all season to keep them alive. First, they were attacked by a fungus, which killed every single little seedlings. Hubby had to replant them for me TWICE since I was in Indiana visiting (back in April). Then there was the caterpillar infestation that almost ate my tomato plants to the ground. I try not to think that I killed five soon-to-be butterflies :( Right now, they are doing just ok. I have (only!!) two tomato fruit waiting to ripen. My herbs on the other hand are doing fantastic! I can't keep up with the cilantro and basil. I am hoping next season will be better because I am definitely not giving up hope. I will have a bountiful vegetable garden! !